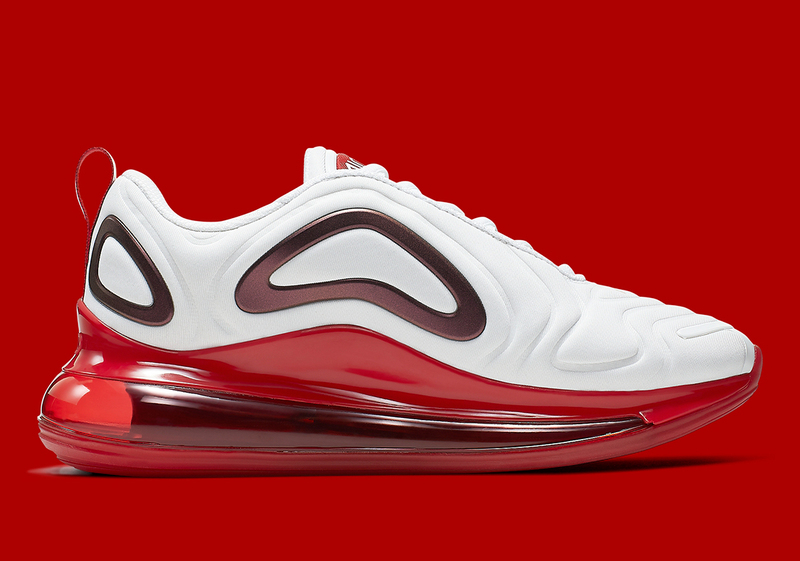 Nike has been killing it this year with their latest Air Max model, the Air Max 720. It's an interesting shoe thanks to its futuristic upper and Air Max unit that wraps all the way around the shoe. In many ways, it's like the Air Max 270, although it expands on what that shoe was trying to accomplish by going all in with the chunky aesthetic. Almost every week, we get a new look at a few fresh colorways of the shoe and so far, they've all knocked it out of the park. This latest model is no exception and unfortunately for us guys, it's a women's only colorway. It's a pretty simple model, although the pops of color really making it stand out from the rest. The shoe is covered in a white upper, all while burgundy overlays add some nice contrast to the sneaker. 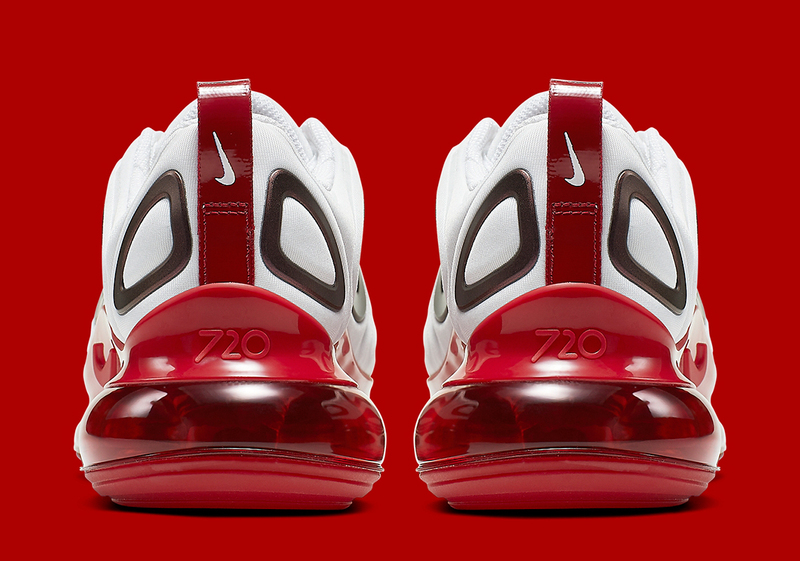 Finishing the shoe off is a translucent red Air Max unit, which acts as the knot that ties the sneaker together. If you're a dude with small feet, a woman who wants to cop these for the Spring, or a man in need of a gift for his girl, you can cop these on April 18th for $180 USD at select retailers, according to Sneaker News.